Here is some of the history behind this great website. The Ask Granny website was started by Juliet Hambro, a grandmother in her late 60s. Most of her contemporaries are in the same ‘grandparent’s’ boat, always looking for ways to entertain their grandchildren, needing advice on family matters, searching for recipes that children like, finding suitable and fun vacations and day trips to take with the grandkids, plus researching many more topics that interest granddads and grandmas. Ask Granny is about helping grandparents get the most out of the internet by doing all the research for them. When looking for facts about grandparent’s needs online, Juliet found these statistics: A quarter of families with children under 15 use a grandparent to provide day care, the 50+age group is the fastest growing population group, Baby Boomers ( 1946-1964) many of whom are grandparents, have more money to spend than any other category, they are the most affluent consumer group that exists, account for over 40% of total consumer demand, own 79% of America’s financial assets and spends over $2 trillion on goods and services each year! Surely a top website for this important demographic is needed? Juliet Hambro thought so, hence www.askgranny.com was born and is still going strong! 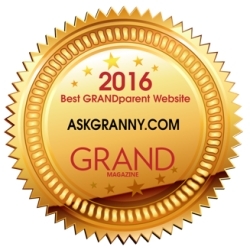 All information on www.askgranny.com is divided into easy-to-use and accessible categories, such as Toys and Gifts, Indoor and Outdoor Activities, Entertainment, Health & Well-being,Travel, Food and Recipes. The over50s and grandparents can therefore access the information they need easily and most importantly will find exactly what is useful for their grandchildren and themselves.